The haka dance is a popular traditional dance in New Zealand. This dance is derived from the Maori tribe’s war dance. In the past, the haka dance was performed by the Maori heroes before a war. The dance aimed to intimidate their opponents by showing their strength and power. It is performed in groups with deft movements and stomping feet while screaming. Today, the dance not only serves as a war dance but is also performed as a welcome dance for important guests, for big events, and for funerals. Traditionally, the Haka dance should only be performed by men, but it is now performed by everyone. Haka dancers typically use traditional weapons such as taiaha (spear) and patu (mace). Poi are tethered weights. The Poi Dancers perform this dance by rotating poi around their bodies in rhythmic and geometric patterns. The poi dance should only be performed by women. The dancers must be able to dance with supple, graceful, beautiful movements. Haka and poi dancers must have pūkana (facial expression). Pūkana is an important characteristic in the traditional dance performances of the Maori tribe. Pūkana helps convey the message in every dance. Haka dancers must be able demonstrate pūkana by glaring, sticking out their tongues, or grinning. Poi dancers must be able to demonstrate pūkana by widening their eyes and accentuating the movement of the tattooed chin. In addition, Haka dancers also have to master the wiri. The wiri is a side-to-side movement of the hand. For those of you who want to watch the haka and poi dances, you can visit the Ko Tane The Maori Experience, at 60 Hussey Road, Harewood, Christchurch, Christchurch-Canterbury, 8051, New Zealand. There are several forms of transportation that go there. 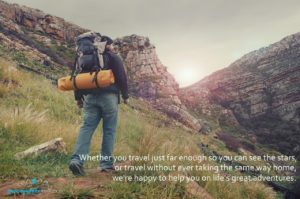 Travel and medical coverage are a “must have” when traveling overseas. Check us out a https://www.gninsurance.com/ for all your travel and medical insurance needs. Contact one of our insurance specialists at 1-866-636-9100 for insurance options that are best for your traveling adventures. Maybe you will want to try out your expressive dance moves once you have seen the Maori tribe’s performances!